Inside rear of an unrestored teletype. 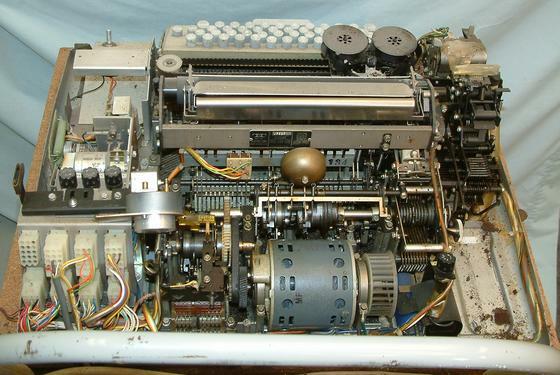 This shows the inside of the teletype before any work has been done on it. It is in reasonably good condition but needs a good cleaning to remove the disintegrating foam ( 31K) and other junk from years of storage.